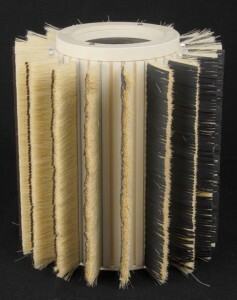 Brush Sanding Cores « Master-Sand™ Sanding Brushes – Made in USA. 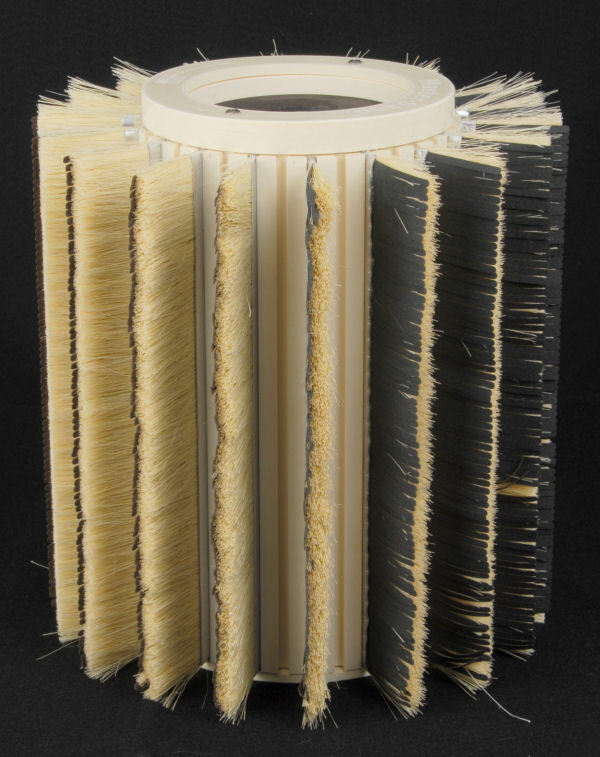 We manufacture our own brush sanding cores. In order to provide you with the best quality possible, all cores are made from the most durable cast urethane available, and machined to tolerances of ± .001”. Each core is thoroughly checked for runout (± .010” tolerance) prior to shipping. You’re guaranteed to get the best quality cores at the best prices with the Master-Sand system. Sanding brushes are sold seperately from cores. We offer two different core diameters, each available in any length over 60 mm (approx 2”). Ø120 mm core (approx 4-3/4” without brushes) holds 24 brushes, and is available in standard lengths of multiples of 140 mm (approx 5-1/2”). Other lengths available by special request. Ø180 mm core (approx 7-1/8” without brushes) holds 36 brushes, and is available in standard lengths of multiples of 300 mm (approx 11-7/8”). Other lengths available by special request. All cores include proper endcaps/flanges as well as a brush retention cap. Cores are available in several standard arbor sizes, as well as custom sizes for an additional fee. Cores are ready to be mounted on the machine when you receive them. We also offer a cup head in 180 mm diameter.